Low-Country Metal Roofing Inc. is a sheet metal roofing company, providing high-grade metal building materials to residential and commercial customers. We offer our metal roofing and siding in three gauge sizes: 24-, 26- and 29-gauge. Contact us today for a free consultation or to inquire about any of the products we offer. Metal paneling lends numerous benefits to structured when applied as roofing or siding. Not only is it incredibly durable, fire resistant, great for longevity and resilient against weathering, it’s also an affordable long-term material and highly versatile. If you’re looking to tap into these many benefits and more, talk to Low-Country Metal Roofing Inc.! 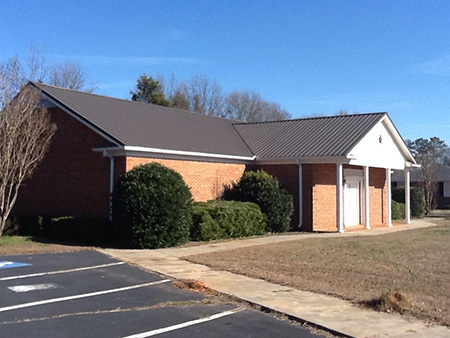 As a trusted supplier of metal roofing in Moncks Corner, SC, we’re able to provide residential and commercial customers with access to 24-, 26- and 29-gauge paneling options, great for all types of applications—including roofing and siding. 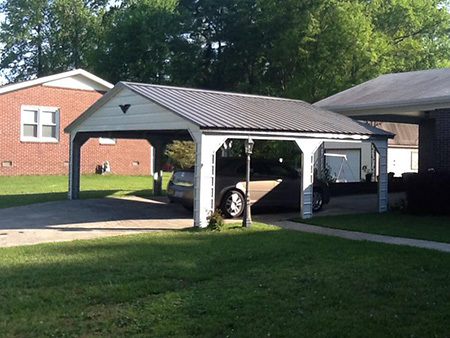 Low-Country Metal Roofing Inc. is trusted by private customers, developers, general contractors and roofing companies in Moncks Corner, SC because of the way we do business. Not only do we take the time to understand your needs, we fulfill orders quickly and at an affordable cost. After sitting down with one of our knowledgeable experts, you’ll have a quote that you can plan around, as well as logistics that mesh with your project’s timeline. We’ll make sure you’ve got your materials in just a day or two, so you can get to work. And, once you’re done building—whether it’s a residential outbuilding or roofing and siding for a commercial structure—we’re certain you’ll see the numerous benefits metal paneling has to offer. To make sure we’re meeting the needs of our various different customers, we offer three different gauge sizes: 24-, 26- and 29-gauge. While most other companies have a 1-2 week turnaround for order fulfillment, ours is just 24-48 hours for most orders! We work fast to make sure you have your materials. Our products are available to both residential and commercial customers in any capacity, with pricing that reflects the best possible value. Our business is a member of the Berkeley County Chamber of Commerce and the Better Business Bureau of Central South Carolina and Charleston. We offer free consultations and will gladly connect you with an experienced member of our staff who can answer any questions you might have.